CHITRAL: The speakers in a seminar here on Thursday called for the promotion of trade and tourism in Chitral saying the two sectors have great potential to bring about progress and prosperity in the region. The event on ‘prospects of the promotion of trade and tourism in the post-Lowari Tunnel Chitral’ was held by the district government. Noted among speakers were district nazim Maghfirat Shah, DC Khurshid Alam Mehsud, former local MNA Shahzada Iftikharuddin and PTI’s district president Abdul Latif. The speakers said after the construction of Lowari tunnel, the district was no more an isolated area and therefore, new approaches in the fields of commerce, industry and tourism should be adopted for the region’s development. They said the promotion of tourism was the joint responsibility of the residents and government and therefore, both should fulfil their respective responsibilities. 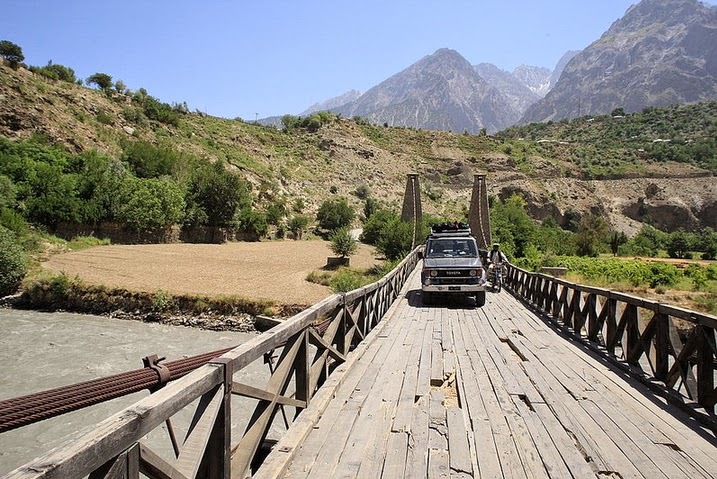 The speakers said the government’s major duty was to construct roads leading to tourist resorts of Garam Chashma and Kalash valleys for the promotion of tourism. They said Baroghil, Karimabad, Madak Lusht, Gobor, Oveer, Golen, Terich, Khot and Rech could be developed as tourist resorts only by building proper roads to them. The speakers said the residents should strive to develop tourism as a full-fledged industry by investing money in it and adopting modern innovative ways and means to attract tourists. They asked the tourism department to go beyond advertising the events of Shandur or Kalash festivals in the media by coming up with revolutionary measures to exploit the tourism potential of the area to its full. The speakers said the construction of Lowari tunnel had created an environment of competition in which only the fittest could survive. They added that to cope with that challenge, traders should take necessary steps besides exploring markets across the country for their products. The speakers said the proposal of making Chitral an alternate route for the China-Pakistan Economic Corridor could prove a real game-changer for the region like the Lowari tunnel project as it would broaden the base of local commerce and industry.